Disclaimer: This post contains affiliate links, I may be compensated for purchases made through these links. For more information, click here. It's finally December which means, there are only 3 more weeks to get your Holiday shopping done, because seriously, who wants to be near any retail store the few days before Christmas? 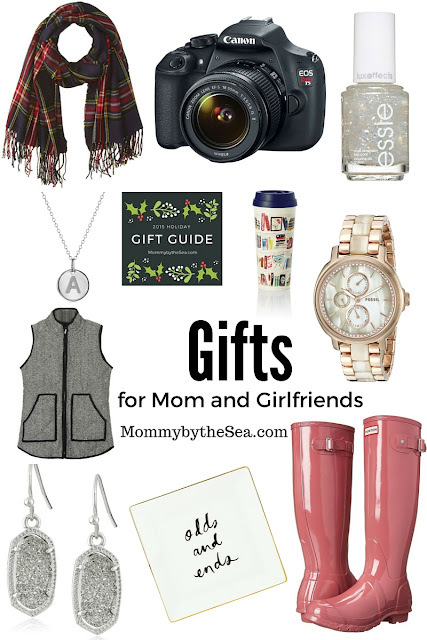 Even though I've been posting tons of toys as Holiday Gifts, I wanted to do the first gift guide for Moms and Girlfriends, because they're usually the hardest to shop for! So, which one is your favorite? Or what are you hoping for? Be sure to come back on Thursday, asI'll be sharing my list of gifts for the men in your lives!